Where I was frequently a little bored recently reading the first Harry Potter book, The Magicians is, as the New York Times put it, "crudely labelled as Harry Potter for adults." As a result, I liked this tale of kids at magician school quite a bit more. Authored by Lev Grossman and set to become a series on SyFy, it's about Quentin Coldwater, a young man in Brooklyn who is about to go to college when he is swept up to attend Brakebills, a school for magicians in Upstate New York. The best part of the novel is Quentin's relationships with his friends in Brooklyn and then at the school. I didn't care that much about some of the magical and fantasy stuff, although most of it is very creative. But I was gripped by what would happen to Quentin and his friends. Quentin is lumped with a talented batch at Brakebills called the Physical Kids (because they can manipulate physical forces). They form bonds through heavy socializing, and Quentin becomes romantically involved with Alice, who has powerful magical skills. Eliot, Josh, and Janet round out the troupe to fly as birds to Brakebills South in Antarctica for a semester before graduating and all living together in debauchery in Manhattan. The end of the novel sees the group being joined by fellow Brakebills alumni and punk fighter Penny as they slip into the magical world of Fillory that they had all read about as children. In Fillory, they discover The Beast that had traumatically killed one of their fellow students during class at Brakebills is Martin Chatwin, the protagonist of the Fillory children's stories. It turns out that the popular fictional books had not been fiction at all. And Martin's younger sister Jane had been pulling strings for years to find someone who could kill Martin, finally finding Quentin and his friends, all of which disillusions Quentin. After leaving Fillory, he works for a time at an investment firm, and again, eternally dissatisfied, goes back to Fillory as the book ends. 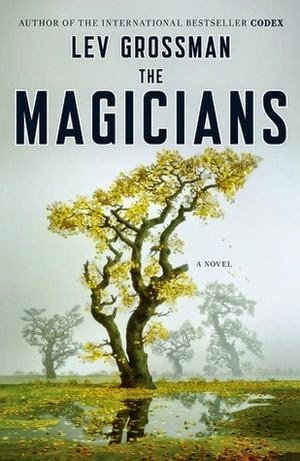 I'm pretty excited to read the followups to this 2009 book, 2011's The Magician King and 2014 The Magician's Land.